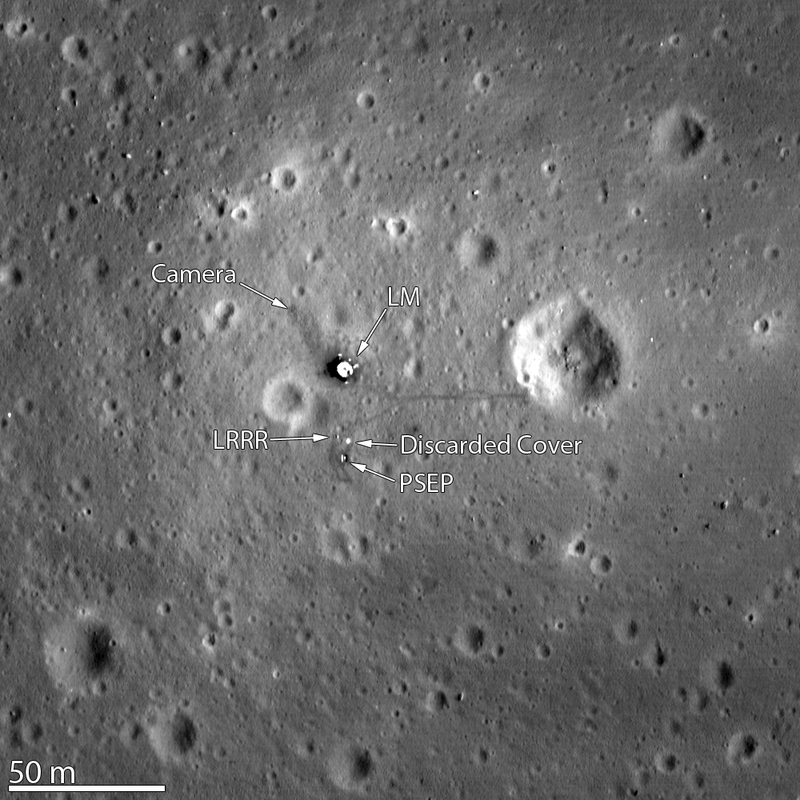 Can we see the manned lunar landing sites from Earth? What can be seen using spacecraft in lunar orbit? How have the landing sites changes in the last 40 years? The general areas where the six Apollo lunar missions landed can easily be spotted with backyard telescopes. However, it is impossible to spot evidence of the landings. The Lunar Reconnaissance Orbiter has been orbing the Moon for over 2 years. It has taken pictures of all the Apollo landing sites as well other unmanned craft on the surface. Interest in these sites is increasing as we get closer to visiting them with unmanned craft and potentially manned visits in the future. What will visitors to these sites find? What has happened on the Moon in the past 40 years?